Grief and Healing – Are YOU "intuit?" Throughout our lives, we all experience the loss of loved ones. Not a particularly desired destination to arrive at, it’s true that death is a part of life. We are rarely, if ever, ready for it. Even if caused by natural or terminal means, we find ourselves at a loss when it actually occurs. When a death occurs, we are catapulted into this strange place of confusion, hopelessness, and, especially in the case of suicide, blame — wondering if there was something more we could’ve done to prevent it. The truth is, no matter how someone passes, the agony and pain sting. Our regular day-to-day existence changes. It feels strange. It feels beyond surreal. And, much like a painting hung on the wall then taken down, it feels like this everyday reminder of what we lost. Arriving here, usually, suddenly, we are told by others how we should handle it, how we should grieve. The thing is, we all do so in our own, personal way. Though that’s true, many people still like to chime in with their personal experience(s) and expectations. While that’s all fine and dandy and even helpful at times, it’s important to trust our own journies without pressure. There is no timeline! What may be helpful for one person, may derail another. Being in the throes of grief, our usual life circumstances can start to feel overwhelming or alien to us. We become almost forced into talking about and feeling emotions we’d rather not feel. Families sometimes even fall apart. Sometimes they fall together instead. I wish that was always the case. In the early days of grief, to many, all that appears to be left is a big hole filled with unbearable emotions. Often, leaving us an with accompanying array of powerful emotions, we can feel dark and life seems clouded and blurry. Sadness, anger, guilt, and shame are also often present. It’s as though we took all these feelings and blended them up into a not so satisfying smoothie that we just choke down. During all of this, we often find out more about ourselves and, often times, it’s the parts we don’t want to see. We even find out things about the deceased we’d rather not have known. Top that with the reality that what we find out may or may not be true — it’s no wonder we feel so confused. Your stay in the whirlwind of grief is just that – Your stay. Your experience may be brief or long depending on the bond you shared with the individual. Whatever the duration of this process, we heal through allowing ourselves to do so in the way we feel we need to, not the way in which others find convenient. The extreme and sometimes unpredictable emotions will eventually lessen and then pass. Though the bond doesn’t break and the memories remain, we find a new way to live life without them being physically here. Healing is important and, again, on OUR terms. That doesn’t mean, however, that bottling it up is the answer — it certainly isn’t. We always have outlets or resources to help us get through. Some examples? Talk to TRUSTED friends and family members, don’t be afraid to seek therapy if needed, and look into support groups that are understanding and compassionate, even if just online. I know I’ve personally found some wonderful groups online that have helped me. I’ve also found some that I decided not to stick with due to lack of the aforementioned understanding and compassion. The ones I stuck with helped me feel supported, understood, and even relevant. Healing may seem like a lot of work, especially at first, and sometimes even scary; but, all it takes is a little bit of effort to begin. In actively attempting to find peace in our losses, we grow stronger and more willing to embrace our journey. 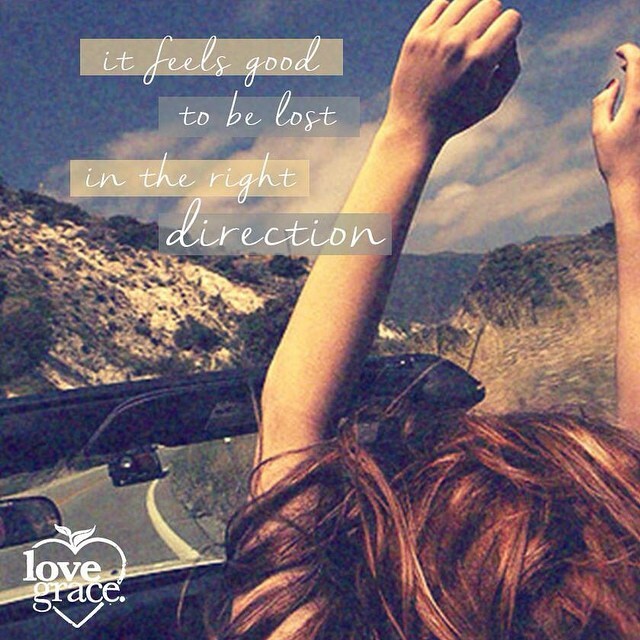 Eventually, we begin to remember what it’s like to truly live again. If anything, we appreciate life more in the aftermath. Giving ourselves what we need and remembering to take care of ourselves allows this peace. The clouds fade a bit, smiles and laughter come back, and we start to see life through a clearer lens. The joy of living DOES return again. Our loved ones in Spirit can even play a huge role in our healing process. When we’re able to recall and hold onto only the good times, we keep their memory alive. Many of us even strive to keep a legacy of theirs alive. Which, when done in a healthy way is very helpful. After more and more of the haziness lifts, we can find new ways to communicate with our loved ones. Signs, symbols, songs, and more end up holding a strong meaning. And, even through all the doubt, we’ve all had experiences we just know go beyond coincidence. Those experiences when there’s no room for second-guessing if that was a “sign” or not — we just know. Hold onto those signs. In a way, we discover new memories that reinforce the bond we always knew was there. Your bond with your loved ones doesn’t end after their physical passing — it only changes. We’re all energy and, as such, we are all just a thought away — living or deceased. 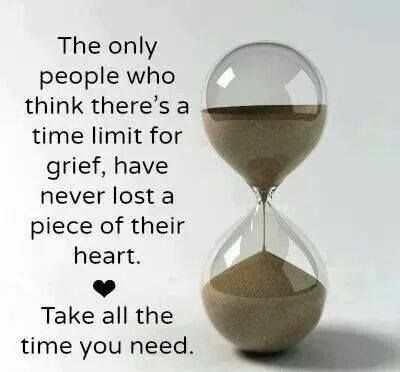 I pray for those experiencing grief currently and I hope you find your way to peace, on your terms, and know it’s okay to remember them and miss them. You’ll never stop missing them. 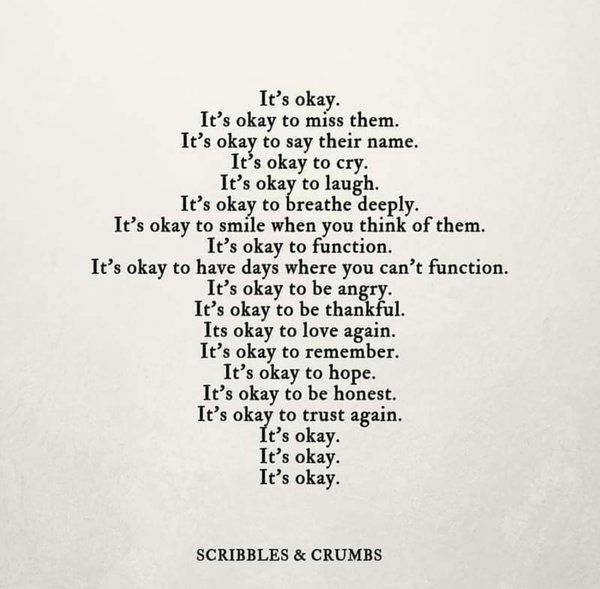 And again, that’s okay! Just remember, the pain does subside and there’s beauty and grace on the other side.